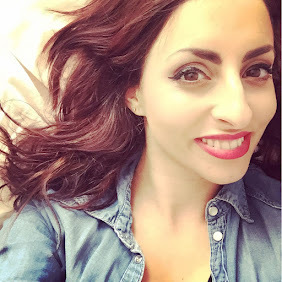 Hello lovely readers! 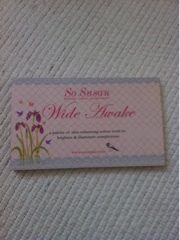 Today I am doing a review on the So Susan Wide Awake Palette I recieved in my Joliebox. The palette. This palette has three good sized sections. An illuminating cream base for dark circles, a highlighter for the cheek bones and an eyebrow sculptor. It has a clear large mirror, with some tweezers and a brush applicator. 10/10. Illuminating cream base- this cream as a soft smooth texture that has a light peachy sheen. It applies smoothly and covers quite well, not as good as my MAC cover up, I would probably use this combined with another under eye concealer, not alone. I want to try this for contouring, I think it would be a good product for that. 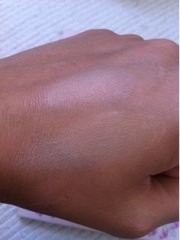 The swatch on my hand in the picture below shows the illuminator as the first line. 6/10. Highlighter- this is a light cream base, but a lot of application is needed. I was disapointed with this, it didnt create much of a highlight so not something I would repurchase. On my hand the highlighter is the bottom swatch. 1/10. 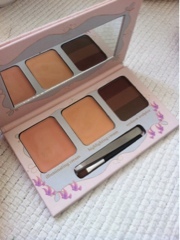 Eyebrow sculptor-this is a powder with three shades. A dark purple/brown, a green shade and grey. These are unusual shades to have, I wasnt sure whether each shade was meant to be used in a particular way, if you know please comment as I would love to know. I used the purple shade which filled in my brows well and lasted. Was pleased with this result. 4/10. Tweezers and brush applicator- the tweezers were so disapointing, they didnt seem to work! Were difficult to work with, they didnt catch the hairs very well, in the end I gave up. The brush was good and applied my brow sculptor well filling what was needed. It was soft and did the job. 2/10. I love the packaging so much!!! So pretty so am saddened that the product wasnt great, not something I would purchase. The illuminator didnt cover my dark circles as well as hoped, the highlighter didnt highlight my cheek area, I couldnt tell the difference from not having any on. The eyebrow sculptor was a good product which did last and appeared natural. The tweezers are difficult to use. I really wanted this product to work for me as I am a sucker for packaging, but unfortunately the product is not for me. Aww what a shame! this looked amazing! I was so disappointed with it too! Gutted!! As it was so pretty!! I had a fight with the tweezers and im not a violent person! !